Product prices and availability are accurate as of 2019-04-14 17:15:38 UTC and are subject to change. Any price and availability information displayed on http://www.amazon.com/ at the time of purchase will apply to the purchase of this product. 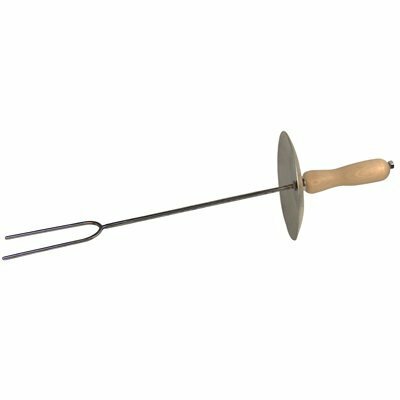 22" Firing Fork Use this wooden handled firing fork to move hot mesh trays in and out of the kiln. Round guard comes separately and is connected by removing end bold and handle. Slide guard onto shank and replace handle and bolt.